Mikes Bikes has served the Dublin biking community for over 30 years. We are situated in the heart of Dun Laoghaire. We have you covered in all areas of bikes and accessories. We cater for all types of bikes from kid’s right up to a road racer Mikes Bikes has all you need. We are one of the leading Bike shops in Dublin we maintain our high standards through our dedicated staff who are keen to assist our customers in any way possible. All our staff are keen cyclists too ensuring the advice you receive will help you choose the best bike or equipment to suit your own needs. Mikes Bikes will have all you need in bikes and accessories. Click on the link below to view our full range on our main website. 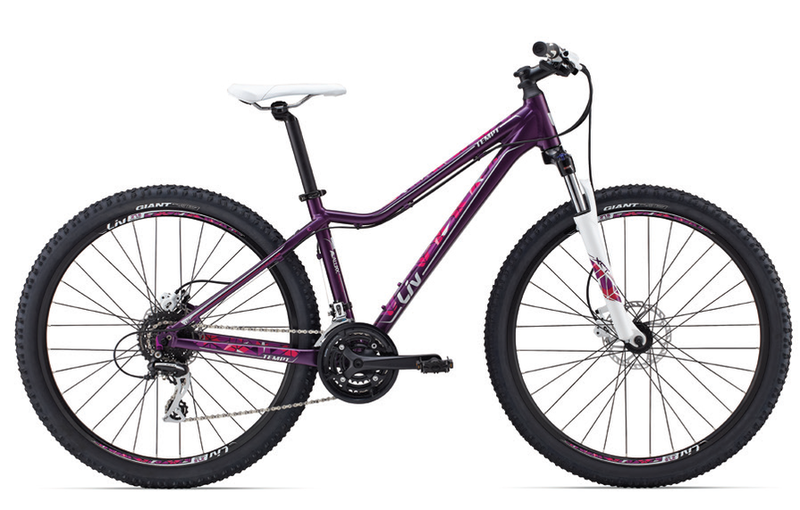 With an agile aluminium frame featuring geometry that’s designed specifically for women, plus a suspension fork and powerful disc brakes, Tempt can take you from your first dirt foray to more advanced singletrack adventures. The new 27.5-specific frame design, featuring plenty of stand-over height, gives you just what you need to go further and faster.